Kidsports, in cooperation with Peter & Robbin Titone, have established a baseball scholarship fund in memory of their son, Joe Titone. Joe passed away suddenly on December 26th, 2008 at the age of 34 of a heart attack. He is survived by his wife and two children. Joe played baseball at Churchill High School for the 1991-1992 seasons. He also participated in the summer American Legion program. 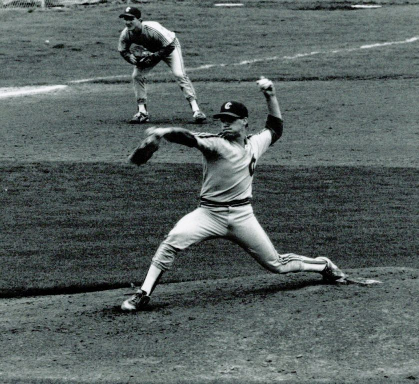 He was a fiercly competitive left-handed pitcher who was known for his deceptive 1st base pick-off move. Joe played with a total "TEAM" attitude and a winning spirit. Joe's parents said, "Joe loved his children and baseball. We want to give boys the opportunity to play and not be denied by the lack of funding. The benefit of this fund allows us to turn our tragic loss into something positive. Joe would have been proud to have this fund in his name and we hope to keep Joe's memory alive by friends, family and community contributions to this worthwhile fund."